Baby gear. When is it worth saving money and when is it worth splurging? Baby gear. When is it worth saving money and when is it worth splurging? The minimalist would argue that less is more and this can be true for baby products. Often the best baby items are minimal to the eye, but multi-purpose and long-lasting, saving you space in your home. While you might have to dish out a little extra cash, they are items that will save you money over time. Think about the Babybjörn bouncer that turns into a toddler reading chair or Sophie la Girafe, a simple teething toy that will keep your baby entertained. "Figuring out what baby products are worth the price is not easy"
At first glance, you find yourself wondering what’s so special about these products? After you’ve tried them out, they become items you and your baby can’t live without. Then there are the items that have a lot of hype surrounding them, that turn out to be a disappointment. Was it really necessary to shell out £90.00 for a Roarin’ Rainforest Jumperoo? Figuring out what baby products are worth the price is not easy to do, especially for the new parents. Start sifting through the long list of baby items worth the splurge by taking a look at our Top Five Best Baby Products to Splurge On in 2017, compiled by the one who knows best, a mother. As a first time mother, I wanted to invest in a baby monitoring system with a camera, but my partner told me if I wanted to check on my little one during naptime or at night to just walk down the hall and peek in on her. 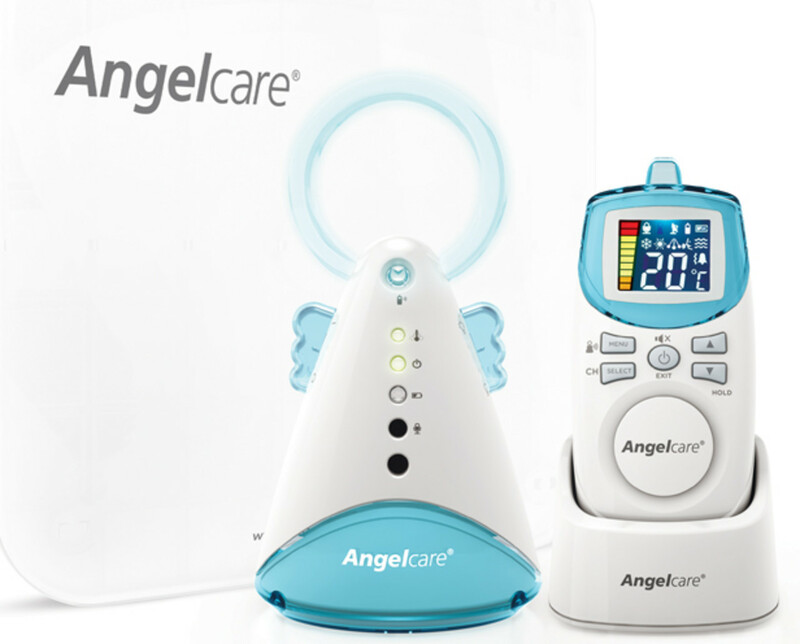 The Angelcare AC401 Movement and Sound Baby Monitor was a compromise, and while I didn’t think it would bring me added peace of mind, it did. What I Like Best about the Angelcare AC401 Movement and Sound Baby Monitor: The under-the-mattress movement sensor pad. This monitors your baby’s movements, even the smallest ones and sounds an alarm if movement is not detected for 20 seconds. It won’t be long before your baby is ready to start solids, not only will making your own baby food be healthier, it’s cheaper too. Invest in an easy-to-use, easy-to-clean blender. The NUTRiBULLET Pro 1000 Series breaks down ingredients to a pulp-free, smooth consistency. Puree fruits, vegetables and meat, pour into ice cube trays and store in the freezer until baby’s mealtime. The best part about the NUTRiBULLET is you can use it to treat yourself too. Make smoothies, coffee drinks and chop ingredients for the latest recipe you’re trying out. 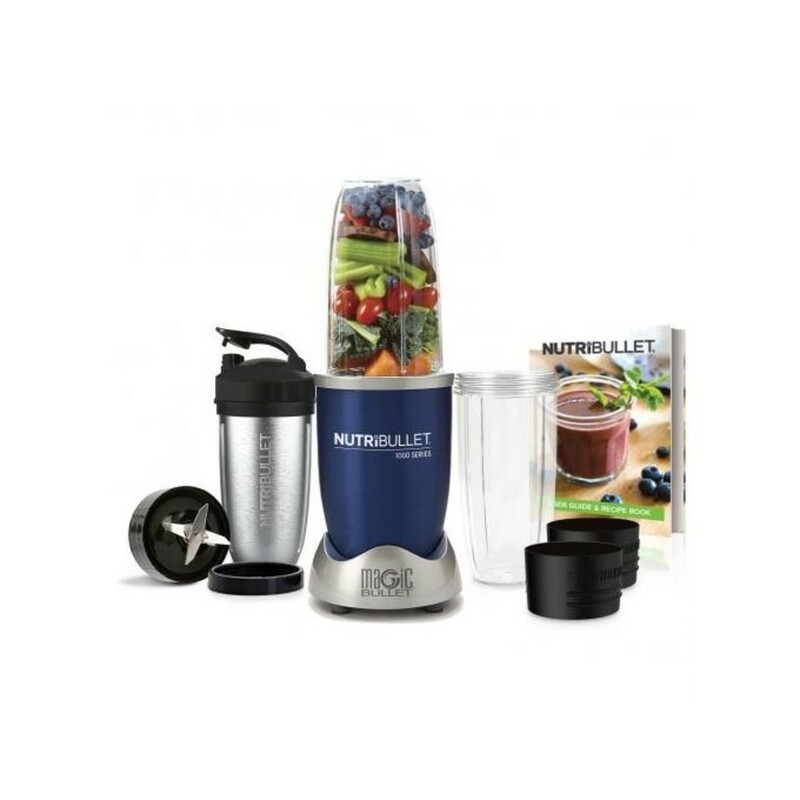 What I Like Best about the NUTRiBULLET Pro 1000 Series Extractor Blender: The Pro 1000 Series comes with a stainless steel cup that is easy to clean. You might invest in a healthcare kit for your newborn, all the baby brands make them. They usually include nail clippers and a small file for those tiny nails, a soft brush and comb, a nasal aspirator and one of those basic thermometers you are supposed to put under the tongue or armpit for a whole 30 seconds before it gives you a reading. 30 seconds is a very long time for a baby or toddler to hold still. It’s worth investing in a child-friendly thermometer like the Braun No Touch Forehead Thermometer 3000. 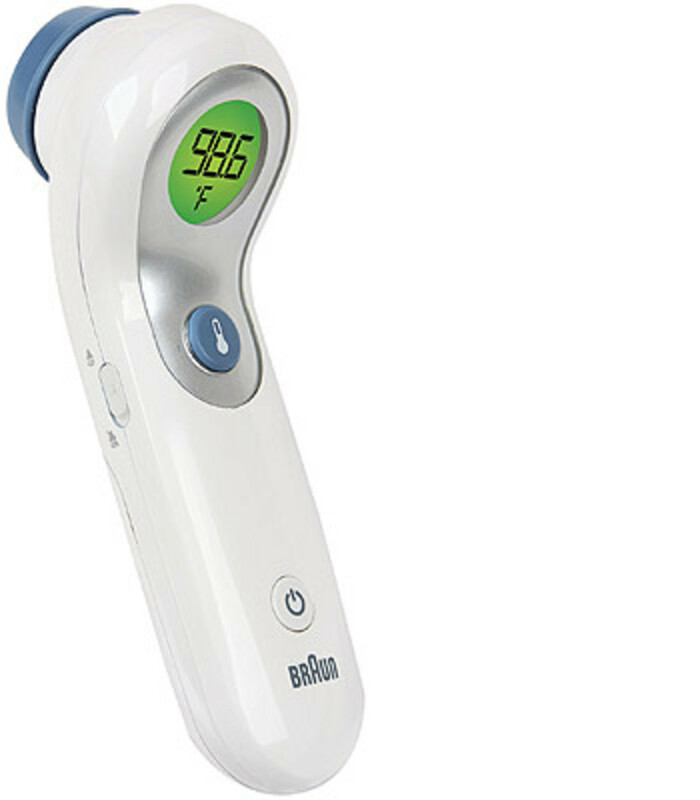 What I Like Best about the Braun No Touch Forehead Thermometer 3000: When my baby is sick, I like to keep an eye on her temperature throughout the night. With the Braun No Touch Forehead Thermometer, the no touch feature lets me do this without disrupting her sleep. There is a reason the Uppababy Vista Pushchair and Carrycot has been voted one of the best pushchairs of 2017. What’s great about this pram is that it will last your tot from birth up to that day they refuse to ride in the pushchair any longer (15 kg). Use the carrycot to keep your newborn snug and safe while you are out and about, and easily detach it from the base and carry it with you if your little one is asleep when you get home. While it’s not recommended you use the carrycot as a bed for you baby, it can be a great item to set your baby down in for a few minutes if you need both hands or want to lay them down for a nap, but keep them close by you. As your tot grows store your carrycot and use the toddler seat. 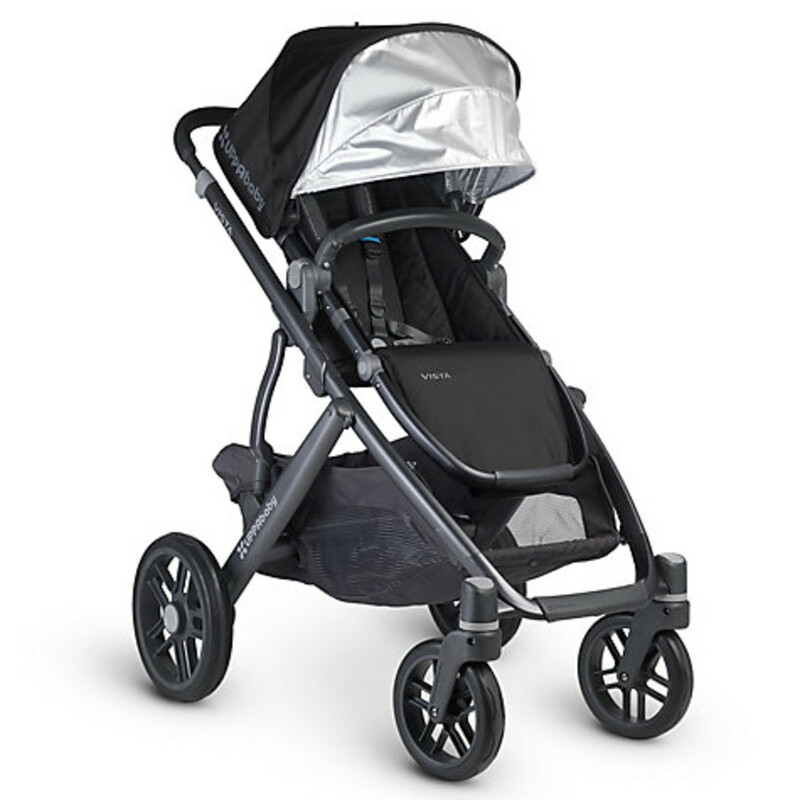 What I Like Best about the Uppababy Vista Pushchair and Carrycot: it’s versatile! It can be turned into a travel system or twin pushchair with the purchase of an adaptor. Does a newborn even need toys? While your little one will be concentrating on mastering the art of sleeping, eating and pooping for the first months of life, they will start to become more aware of the world around them by about three months. Manufactured in France, Sophie la Girafe products have been around for more than 50 years and are loved by parents and babies for good reason. The multi-purpose giraffe made from 100% natural rubbers is designed to stimulate the senses and soothe teething pains. It’s practical, fun and safe for babies and toddlers. What I Like Best about Sophie la Girafe: Sophie is easy to clean. Wash her in warm soapy water and dry her off in less than five minutes. Interested in purchasing any of these items? 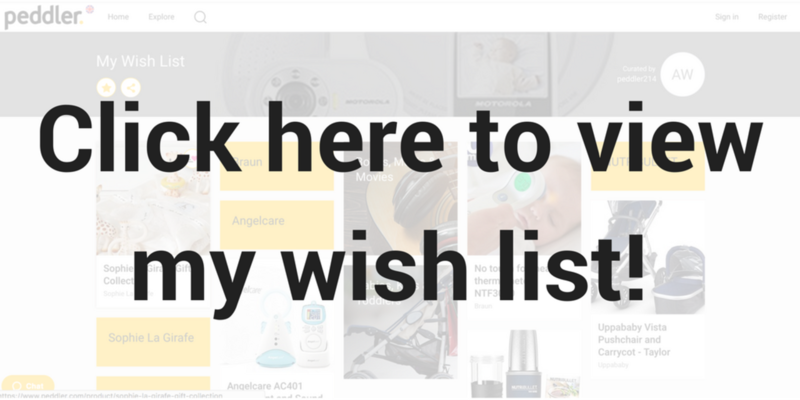 Check out my wish list and add them to yours for the chance to unlock a great offer!